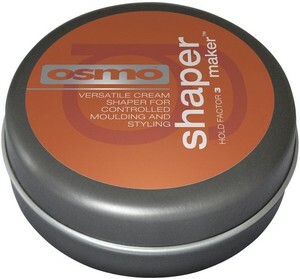 A versatile cream shaper for moulding, styling and texturising that adds shine and control. Easy to use lightweight styling cream. Provides hold while adding strength, elasticity and movement Leaves hair pliable and conditioned. Adds shine and control. Medium hold. ACHIEVE THE LOOK For a style with texture, control and shine.